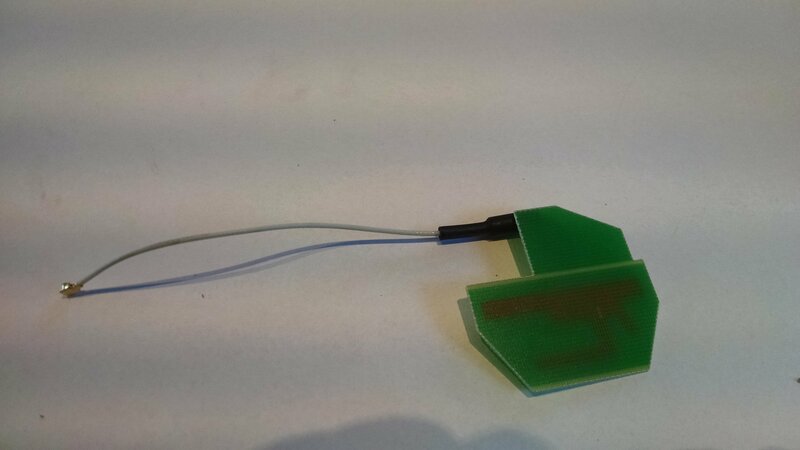 DIY: external antenna for AVM Fritzbox 7340 | OMG, Java! I have this AVM Fritzbox, as a courtesy of my provider, xs4all. 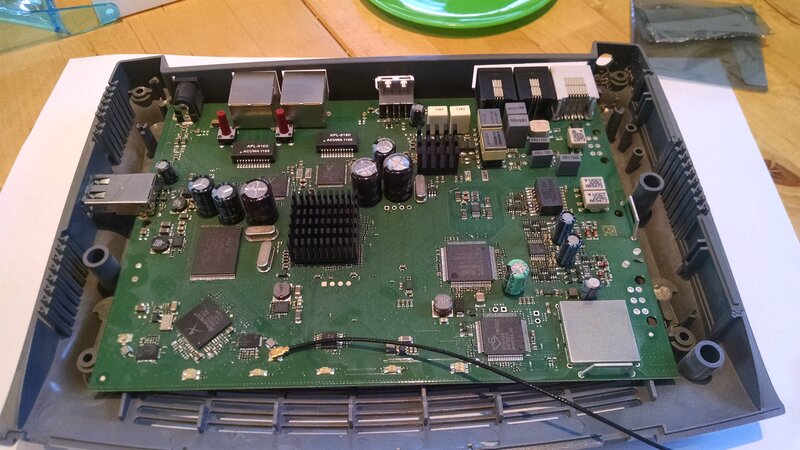 Since this thing has built-in wifi-n, with guestlan support, I’ve started using it to connect up my wireless devices. But here comes the dilemma. 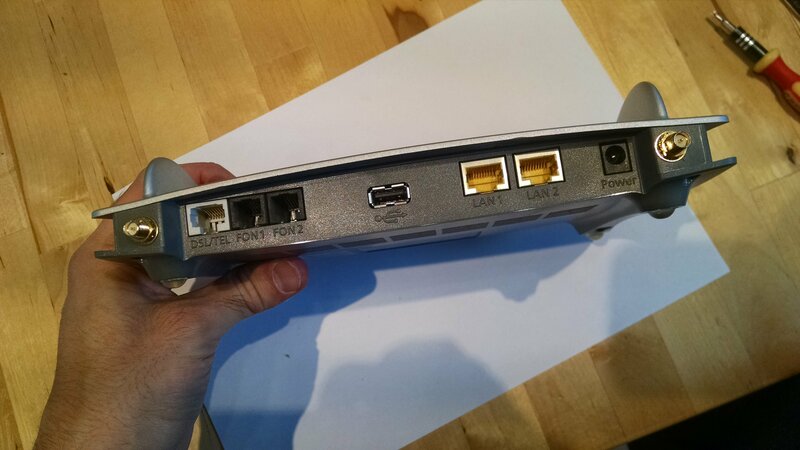 You want to put the fritzbox as close as possible to the incoming telephone (vdsl2) cable as possible, so that you have the best internet reception. On the other hand, you also want to have good wifi coverage in your house. See, the upper floor has almost no coverage (using a macbook pro 2014, it jumps between no connection and 5mpbs physical speeds). I needed something to extend this range a little bit. One way to do this is to leave fritzbox where it is, but connect external antennas that can be placed farther away, and as an added bonus, have a better reception than the built-in ones. So I thought I give it a try: replace the built-in antennas. 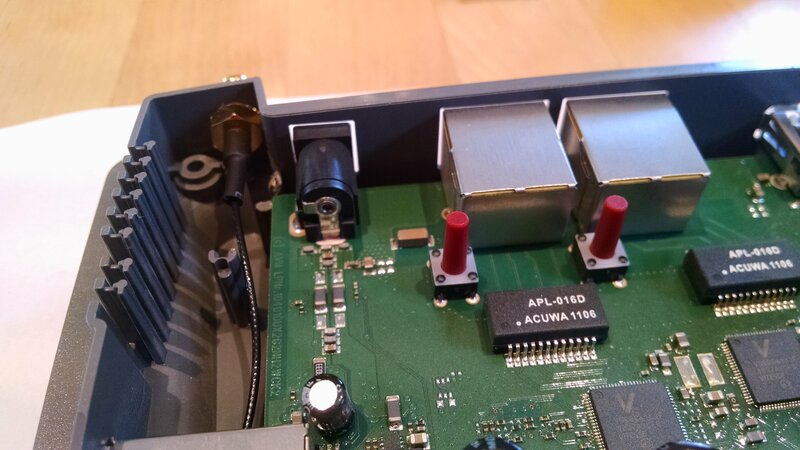 Internally, the Fritzbox uses an (de-facto industry standard) IPEX antenna connection, and has 2 antennas. So all I had to do is get 2 RP-SMA – IPEX cables and 2 good RP-SMA antennas, and I was good to go. I’ve picked up mine here and here. Be careful while working with the IPEX connectors, they are tiny and fragile. 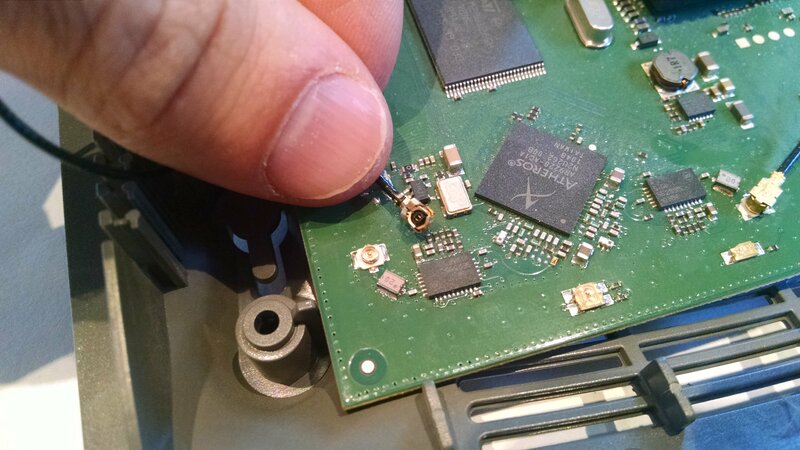 Best use a flat screwdriver to carefully pry them up from the PCB, a tiny push at a time, then switch to the other side to keep the connector straight. I’ve used 6mm wooden drill bits for this. 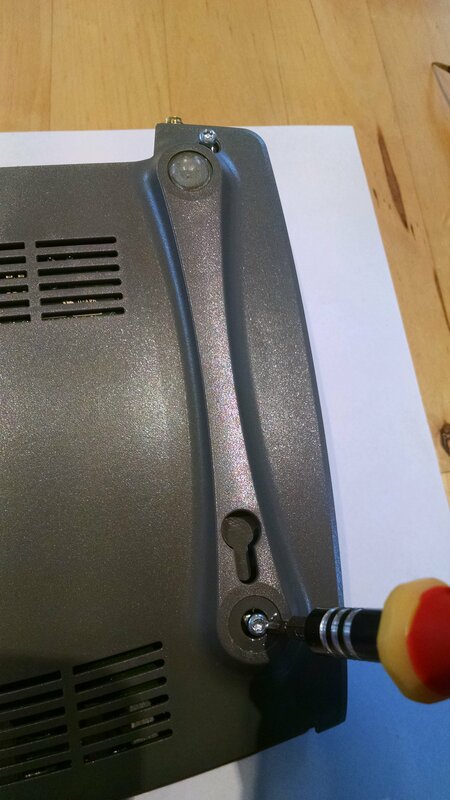 When you put the hole in the lower back part of the case (of course you can put it anywhere else, I put it there following traditional placement only – so it looks like it was manufactured this way). Hook up the IPEX antenna connectors. 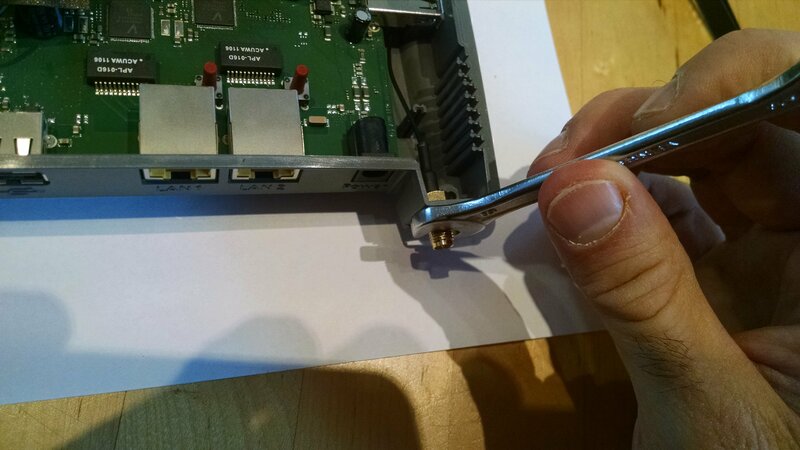 Here you want to be extra careful, move around the connector on the socket while trying to apply some force, as the IPEX connectors are fragile and are supposed to get stuck on top of the socket, so it’s quite hard to put on, but also easy to deform the connector. It will probably take a few minutes, be patient, move the connector around the socket, and slowly increase force. Once done, re-assemble the case, and you’re done! Was it worth it? Well, I paid 10 euros for a pair of cables and 10dBi antennas, which I can re-use in other wifi access points too (manufacturers like to equip their routers with tiny-teeny crappy antennas). Now I have between 20-40mbps physical speed on the upper floor, and most importantly, it’s stable. So it won’t make wonders, but does offer a remedy. You might also want to google for antenna extension cable, attenuation and positioning of the external antennas – they matter quite a lot. Bottom line is, position the 2 antennas ortogonally, with their sides towards the expected location of the clients, and don’t use more than 3-5 meters of antenna cables (you need the ‘standard’ wifi antenna cables, those are RP-SMA), as cable attenuation will ruin what you’ve won with the higher gain external antennas.